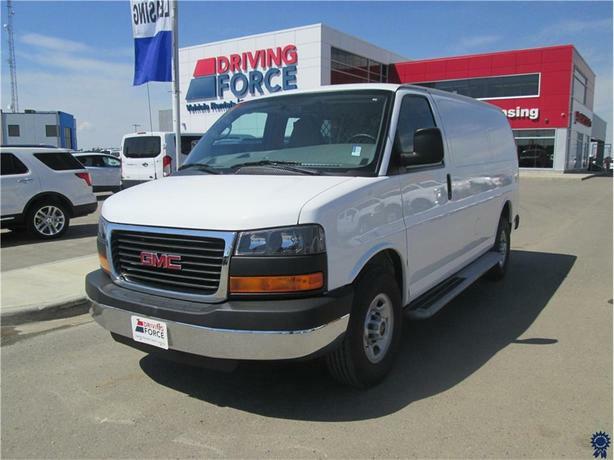 This 2015 GMC Savana Cargo Van is a great choice for commercial vehicle buyers who require a work vehicle. This one is rated with a GVWR of 8,600 lbs (3,901 kgs). The 6.0-liter V8 gas engine delivers 285 horsepower and 295 pound-feet of torque. Have more questions? Need financing? Fill out the handy form and one of our commercial vehicle experts will be in contact with you.